One of my highights from the Easter Monday Youth Pilgrimage this year was the EMYP gift. We managed to get leather bracelets with five wooden beads made by a job creation and empowerment project in Cape Town, South Africa. Phambili ngeThemba, which means ‘going forward with hope’, is a non-government organisation run as a ministry of the Pinelands Methodist Church who work alongside the unemployed people of Langa township. We asked them to make us a simple bracelet that would require each recipient to turn to someone else to tie it on their wrist in order to drive home the point of the day – we cannot be human on our own. We need other people. 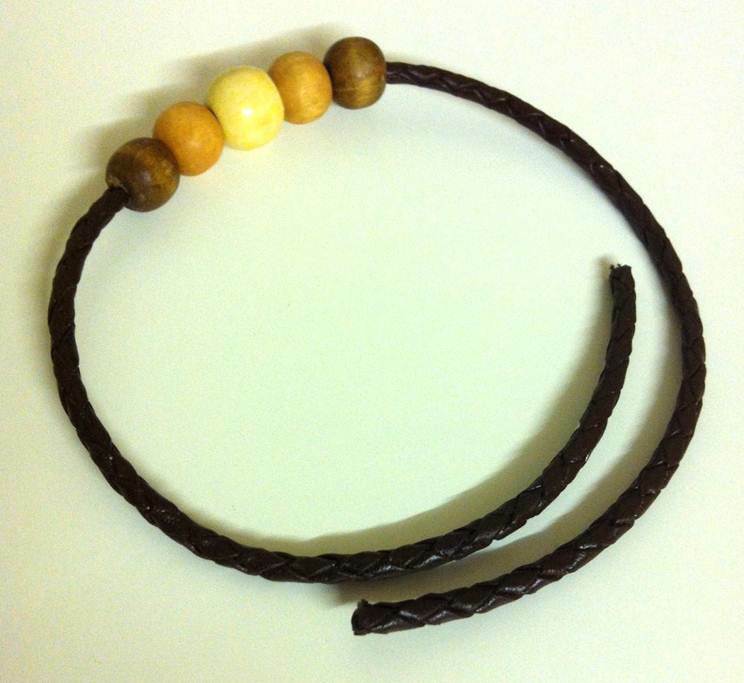 They designed these bracelets with five wooden beads representing five aspects of the African idiom uBuntu – “People are people through other people” – to help each of us to live together as members of the Body of Christ. Here is a summary of the meaning behind these bracelets! Still wearing mine,haven’t taken it off! beads have faded from washing etc but the meaning is still there!